Home Is your driving school up to standard? Is your driving school up to standard? “I had to pay a bribe of Rs. 3,000 to my driving school to get through the practical test for my driving licence,” a learner from the Ragama area said. Why do people have to bribe to pass driving licence test?, people ask frequently. If bribing is possible, why are driving schools there to train drivers? If you ask anyone for their opinion on driving schools, most of them would speak in the negative, for sure. “My instructor did not teach me properly how to drive and even today, there are many road rules and regulations that I do not know,” Sameera Rangana from Kurunegala said. These were a few of the comments on driving schools from individuals living in the Colombo suburbs and outside Colombo. This may remind you of the difficulties you also faced at your driving school. Those could be having to pay extra to get through the practical test (i.e., bribing), paying again for the same service, wasting your time, or not receiving a proper knowledge and training to be a good driver. Can driving schools produce good and responsible drivers without having good trainers? If the answer is no, aren’t those schools responsible for a considerable fraction of road accidents and deaths that take place every day? Yes, it is true. They are directly responsible for most of the road accidents which occur due to unskilled drivers. 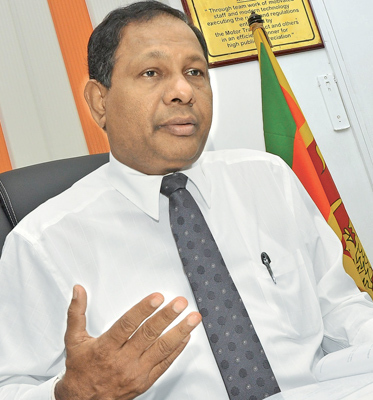 The Daily News met Motor Traffic Commissioner General A. H. K. Jagath Chandrasiri to discuss the current standards in driving schools and the steps that the Motor Traffic Department has taken to monitor these institutions. Q: What is a driving school? A. 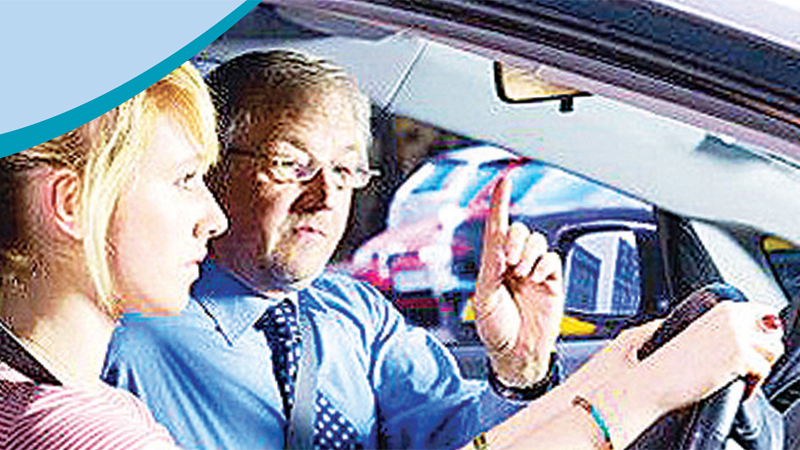 A driving school is a business through which a person (instructor) instructs another on driving a motor vehicle. The schools have been set up under the Motor Traffic Act (Chapter 203) of Sri Lanka and the Motor Traffic Commissioner General. 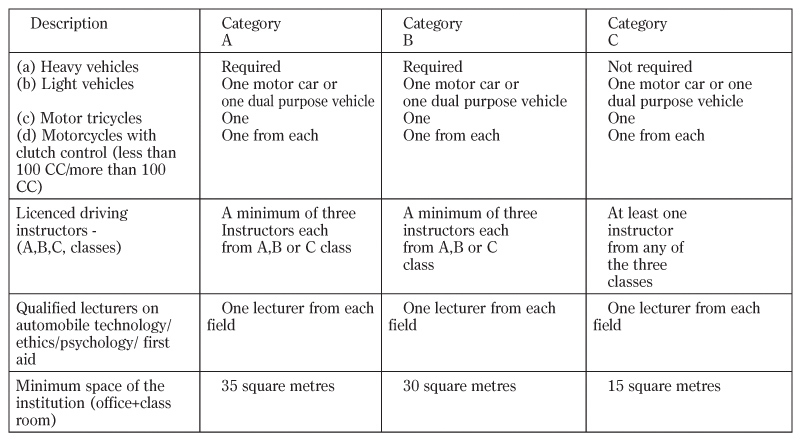 Currently, there are about 538 driving schools registered under A, B, and C grades. Q: What are the standards they should maintain? A. According to regulations made by the then Transport Minister through an Extraordinary Gazette issued on November 2, 2015, driving schools and instructors had to ensure they maintain specific standards (as in the table) from January 1, 2017. Q: How much should they charge? A. They are private institutions. We are not involved in deciding their charges. But, in the future, we will be involved in deciding their charges. They function as supporting institutions to the services provided by us. Q: Have you ever received complaints against the conduct of driving schools? A. Yes. Most of them are about the lack of qualified instructors at these schools. I have received complaints about the lack of roadworthy vehicles for training. With regard to the lack of qualified instructors, we were unable to hold instructors’ examinations from 2012 to 2017. In 2017, we produced 302 new instructors. The examination for assistant instructors was also held. We will call for applications for the examination this year as well. The required qualifications have been mentioned in the Gazette. Q: Are you aware that driving schools and examiners are accepting bribes? A. Yes. We have information that some driving schools are accepting bribes on behalf of examiners. They are private organisations and most of the time, they tend to follow unethical practices due to heavy competition among them. There are some driving schools which are performing only the middlemen’s job, that is, they seem to be only hiring out their vehicles and supporting the bribing of examiners. Q: Whom should learners complain to regarding being forced to bribe examiners? A. They can directly complain to the Sri Lanka Bribery Commission. They can even inform us through our contacts and e-mail. But, the problem is that the victims do not come forward to lodge complaints after receiving the licence. Q: Have you taken any steps to monitor the driving schools? A. Yes. We have been monitoring them for a long time. This new gazette will also give more teeth to the law for this purpose. For now, they should make changes in their institutions and functions to comply with the instructions given in this gazette. Q: What is the syllabus that driving schools should follow? 3. practical training (minimum of 20 hours). We have issued a booklet to assist the written examination. Even driving schools are supporting. You can face the exam only after studying this booklet. It is available at driving schools and our offices as well. Q: Is an examiner aware whether the candidate for the practical test has been trained well? A. At the practical test, examiner should test the candidate sufficiently. At the examination, they should ascertain whether the candidate has received proper training. We cannot rely on papers issued by someone, but only through the practical test, can the examiner ascertain whether that person is trained well. Q: Do you think that the current practical test is adequate to comply with the developments in the motor traffic sector? A. When we examine incidents and accidents happening today, actually it is inadequate. The practical test should be developed. We have plans for that. We already have arranged a model track at the Werahera branch. We expect to set up more across the island. Each track is monitored from a central monitoring room. Q: Do you have any plans to change the process of obtaining a driving licence? A. The process of obtaining a driving licence takes about three months. But, in view of the requirements of learners leaving the country soon, we had a discussion with the Sectoral Oversight Committee on Transport and Communication on expediting the process. However, considering the present traffic accident rate, it was the opinion of the committee that the learners should face the practical test with adequete training. No one agreed to expedite the process. Q: What is the deadline for those standards to be fulfilled? A. This gazette has been effective since January 1, 2017. But, considering their practical issues, we have given the driving schools more time. Now we have appointed 10 teams of our officials to visit driving schools countrywide to ascertain existing shortcomings before March 31. If driving schools do not take necessary steps to rectify their shortcomings, we would take legal action against them at the second stage. 6. maintain a register that includes details of learners and the training given and issue a certificate confirming that the learner has been successfully trained. A learner can attach this certificate to the practical test application. 4. have passed Grade eight proficiency examination (to be an assistant instructor). Three years’ experience as an instructor at a driving school is also essential. 5. Renew his or her driving licence every two years.